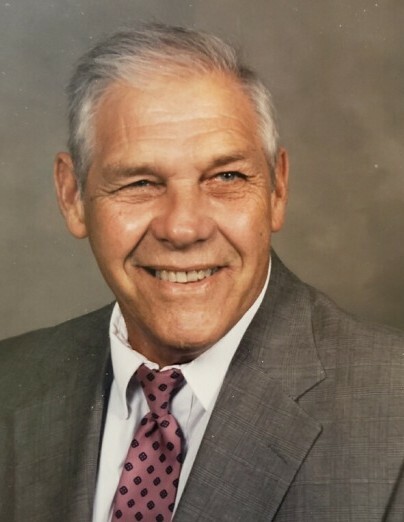 North Augusta, SC……….. Thomas “Tommy” Shannon Nelson, 92, husband of 66 years to Mrs. Ann Poole Nelson, passed away Wednesday, January 16, 2019 at his residence, surrounded by his loving family. His funeral service will be held at 1:00 PM on Saturday, January 19, 2019 in the Rowland-Ford Funeral Home Chapel with Rev. Chris Brown and Rev. John Meyer officiating. Interment with military honors will follow in Westover Memorial Park. The family will receive friends one hour prior to the service at the funeral home. Pallbearers will be Greg Hatcher, Frank Mitchell, Billy Whitmer, Michael Tran, Eric Perez and Jason Leonard. Born in Hastings, Michigan he was the son of the late Samuel Capen and Mae Shannon. Tommy was a veteran of the U.S. Army and fought in both World War II and the Korean Conflict. He was a member of Belvedere First Baptist Church. Tommy founded and operated Nelson Construction Company for more than 35 years. Additional survivors include his daughters, Margaret (Jim) Giberson and Katherine Nelson Britton; his grandchildren, Lisa Leonard, Tara Thompson, Thomas Savage and Katie Thompson and his great-grandchildren, Emma Thompson, Zane Leonard and Elias Leonard. The family would like to extend a special thanks to Regency Hospice of Aiken and to all others who assisted in caring for him. The family requests that memorials be made to Victory Baptist Church, 620 W. Martintown Rd, North Augusta, SC 29841 or Belvedere First Baptist Church, 421 Edgefield Rd, Belvedere, SC 29841. Tommy’s online register book may be signed at www.rowlandfordfuneralhome.com. Rowland-Ford Funeral Home is in charge of arrangements.